Presenting, Motiaz Royal Citi - an address that is an oasis of calm, peace and magnificence in the hustle-bustle of the city, Chandigarh. Your home will now serve as a perfect getaway after a tiring day at work, as Motiaz Royal Citi ambiance will make you forget that you are in the heart of the city, Ambala Highway. 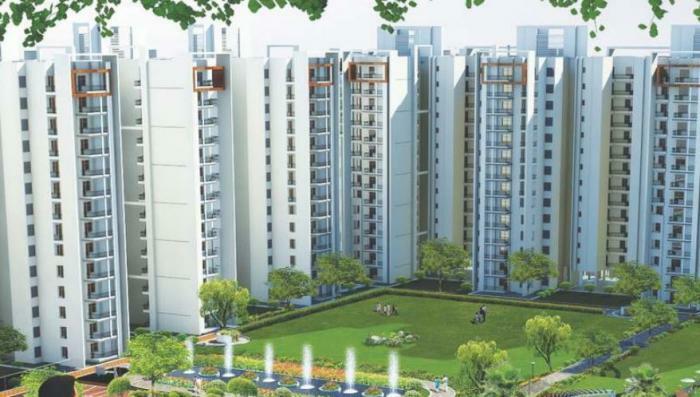 Motiaz Royal Citi comprises of 3 BHK Apartments in Chandigarh. Motiaz Royal Citi brings a lifestyle that befits Royalty with the batch of magnificent Apartments at Ambala Highway. These Residential Apartments in Chandigarh offers limited edition luxury boutique houses that amazingly escapes the noise of the city center. Motiaz Royal Citi is built by a renowned name in construction business, Motia Developers Pvt Ltd at Ambala Highway, Chandigarh. The floor plan of Motiaz Royal Citi presents the most exciting and dynamic floor plans designed for a lavish lifestyle with 15 floors. The master plan of Motiaz Royal Citi offers people a strong connection to their surroundings, promoting a sense of community whilst balancing this with a distinct private address for individual homeowners. Amenities: Out of the many world class facilities, the major amenities in Motiaz Royal Citi includes Landscaped Garden, Indoor Games, CCTV Cameras, Community Hall, Swimming Pool, Gymnasium, Play Area, Intercom, Rain Water Harvesting, Lift, Club House, Tennis Court, Car Parking, Gated community, Basement Car Parking, Gas Pipeline, Maintenance Staff, Jogging Track, 24Hr Backup Electricity, Basket Ball Court, Drainage and Sewage Treatment, Party Area, Vaastu / Feng Shui, Multi-purpose Hall, Security, Yoga, Aerobics and Meditation Room, Water Treatment Plant, Fire Alarm and Fire Fighting System. Location Advantage: There are number of benefits of living in Apartments with a good locality. The location of Motiaz Royal Citi makes sure that the home-seekers are choosing the right Apartments for themselves. It is one of the most prestigious address of Chandigarh with many facilities and utilities nearby Ambala Highway. Address: The complete address of Motiaz Royal Citi is Ambala Highway, Chandigarh, Punjab, INDIA..
Motia Developers Pvt. Ltd. was plunged into the real estate industry in Punjab with an innate vision to weave apical standards of personal properties driven by the Life at its best ideology. What made their journey unique and more interesting from others was their extensive belief in the latest architectural designs, technology interference and other trending amenities. Add to it the Value added services and accomplished assistance for property investment solutions that has put them at the forefront of all. The team of professional consultants at Motia developers Pvt Ltd has the knack to keep a close observation across trends and deliver projects prior to deadline. Established in 2005, Motia Group emerged out of the bud when 5 immensely intellectual entrepreneurs Mr Pawan Bansal, Mr Kewal Bansal, Mr HR Mittal, Mr LC Mittal and Mr Ramesh Mittal. The years of substantial experience they are backed by has helped the start up transform into a brand in no time. Such stupendous has been the growth that the company now deals with all kinds of residential, commercial and institutional properties. Keeping its values intact and igniting its vision to the next level, the company is all set to execute a massive development at more than 100 acres of land. Review of Motiaz Royal Citi, Ambala Highway? Its price, location, builder etc. Review of Motia Developers Pvt Ltd, Ambala Highway? construction quality, trustworthy, delivery history etc.? Review of Motiaz Royal Citi, Ambala Highway location? neighbourhood, connectivity, schools etc.? Comparison of Motiaz Royal Citi, Ambala Highway to nearby projects? Is it rightly priced? What is your feedback on this Motiaz Royal Citi, Ambala Highway? Depends on brand name and complete the project in time etc? Will this be a better option for investment or to live in Motiaz Royal Citi, Ambala Highway? Can you give some suggestion? Is the Motiaz Royal Citi, Ambala Highway has more potential in terms of capital appreciation, ROI, Rentals, Proximity to social infrastructure etc?